Welcome to our Permeable Pavers Section! Permeable pavers are one of the most environmentally friendly paving solutions that are available to builders, landscaping contractors, engineers, and property owners. 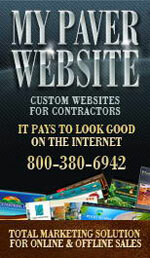 They are available in three types, namely: grass, interlocking concrete, and porous concrete. These paver types provide different benefits and are applied in various outdoor areas in public, private, and commercial properties. Grass pavers allow water to drain through their hollow centers and enrich the soil underneath. They are also very decorative and can make for a truly verdant and pleasant driveway or patio. Porous concrete pavers, on the other hand, have pores all over where water is channeled through and help conserve good quality water. Meanwhile, interlocking concrete permeable pavers work pretty much like grass pavers in the sense that they also have a void, which can be filled with soil and vegetation. They also allow water to seep straight into the soil and not into waterways where they can bring pollutants that can degrade water quality. Permeable pavers have been gaining popularity because of their proven benefits such as reduced installation costs, increased water quality, decreased storm water runoff, and prevention of soil erosion and flooding. The various applications also mean that it’s possible to use them not only in one specific outdoor area but in several areas in a property. They also eliminate the need to install costly retention and drainage systems, while at the same time help property owners save on pricey compliance regulations. All of these great benefits ultimately make permeable pavers among the most preferred paving options in use today. Permeable pavers are among the most beneficial paving solutions available. Just watch these videos to get ideas just how great they are. Permeable pavers are carefully laid piece by piece after proper site preparation, which includes excavating the area and then installing a layer of gravel. Once the gravel surface is done, a Geotextile fabric is then laid over the surface and then poured with a layer of sand. Afterwards, the paver units are installed by hand or using special machinery. The holes or voids will be filled with washed gravel, sand, pea gravel, or soil to finish the process. All of these applications just show how versatile and beneficial pervious pavers can be to property owners and contractors alike. However, it is vital to note that entrusting the installation to professionals is tantamount to ensuring years of service from the various paved surfaces where such paver types will be used. Browse our gallery to see photos of the various applications of permeable pavers in commercial and residential properties. These photos will also give you ideas on how these pavers can be used in your own property. 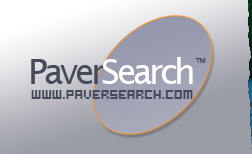 Below is a list of Permeable Pavers Resources throughout the United States.